In a recent Press Release, the Money Services Business Association (MSBA) – the US trade association that represents the growing non-bank money services industry, announced the formation of a new Board of Directors, a new Chairman of the Board and new Board members. 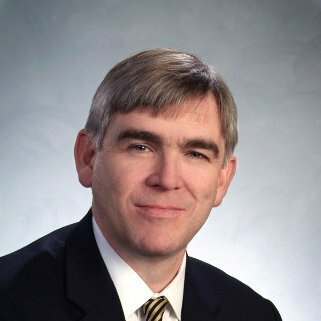 The MSBA named Viamericas Corporation CEO Paul Dwyer as its new Chairman, succeeding Alberto Laureano, CEO of Barri Financial Group. Alberto Laureano chaired the Association from its inception and the newly elected Chairman Paul Dwyer recognized Alberto’s leadership stating: “I am very thankful to Alberto for all of his hard work to establish and create a solid foundation for us to build upon”. The MSBA also announced the election of Aurora Garza-Hagan CEO of BBVA Transfer Services, as its new Treasurer and Nicole Ibbotson, Sr VP and General Counsel at InComm Financial Services, as the MSBA’s first Secretary. Three new members were also elected to its Board, Jorge Raull, CEO of Transnetwork Corp., Ran Grushkowsky, Co-Founder and CEO of WireCash and Fernando Fayzano, CEO of Pontual Money Transfer joining the members that will remain on the Board, Laybaa Hernandez COO of DolEx Dollar Express, Suresh Ramamurthi, CEO of Yantra Services, and Marcelo Licht EVP Americas of Transfer-To. Alberto Laureano will remain as Member of the Board. As incoming Chairman of the Board, Dwyer will continue to work with the Board and its members to increase the awareness of the critical services provided by the non-bank financial services industry, to encourage continuous safe innovation and to improve the environment for the provision of banking services to the money services business industry. Paul S. Dwyer, Jr. is a co-founder and the Chief Executive Officer of Viamericas Corporation. Dwyer has been actively involved in the Money Transmission Industry since 2000. Prior to co-founding Viamericas he was a partner at the law firm Wilmer, Cutler & Pickering. The Money Services Business Association or MSBA is a trade association focused on the non-bank money services industry. Members include licensed money transmitters their agents/authorized delegates, payment card issuers and distributors, payment processors, international remittance companies, bill payment companies, mobile payment application providers, payment aggregators, virtual currency exchanges and administrators, eWallet providers and other similar money services providers that are engaged in payments. If you want to become a member and help your industry, contact Kathy Tomasofsky, MSBA Executive Director. If you are a supplier of product & services to the industry you can join as an Associate Member or as a Smaller Participant.